As traders, we use technical analysis as a reliable method for speculating on future price direction of both equities (shares) and indexes. Technical Analysis in simple terms is the study of historic price movements in a chart in search of patterns or consistently traded support and resistance levels. 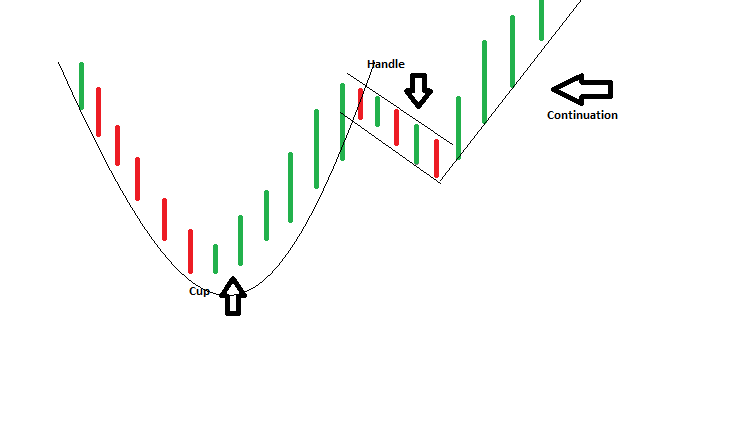 Today we are looking at a specific chart pattern that falls under continuation patterns, the Cup and Handle. A couple of months ago SEK showed this pattern quite perfectly. As you can see from the below chart, the share price fall at roughly $21.00, had a fall to create a low (support), then a rise back up to the $21.00 level. After the price reached this level, it started to fall slowly in a bearish channel pattern. After the price fell roughly 30% of the initial low (bottom of the cup), then the share price broke to the upside and accelerated up to $22.61. With this rise it continued the long-term uptrend that had been forming since 2015, thus completing the continuation pattern.